Magyar Dezső és Bódy Gábor filmje az 1918-1919-es magyarországi eseményeknek akart emléket állítani, olyan (fél)margón lévő írók műveiből, mint Lengyel József és Sinkó Ervin. Filmjük olyan jól sikerült, hogy azonnal betiltották. A film után beszélgetés a látottakról, vendégünk: Kiss Viktor, filozófus. A filmet EREDETI magyar nyelven, angol FELIRATTAL vetítjük. Hungary, 1918-1919. Enthusiastic young people establish the intellectual team of the Hungarian Communist Party. Their most important task is to spread Communist ideology and to persuade workers to join them. They carry out fierce ideological discussions with the journalists of Social Democratic and middle-class newspapers. For the purposes of political agitation, they provoke a scandal in a restaurant, and later try to convince members of the Parliament about the truth of Communism. 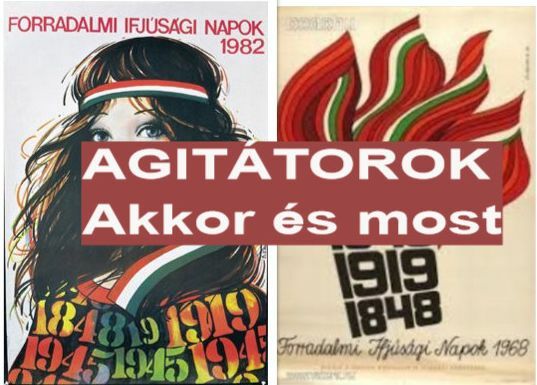 They fight with those demonstrating against the Hungarian Soviet Republic. – The film was banned in Hungary more than 20 years! After the movie, Viktor KISS, philosopher will speaks about the film. The film is screened original Hungarian language with English subtitles.